Lucky Dino is a fairly young online casino, launched in 2014. But despite its small age, the venue has several features that make it noticeable to players and providers. First of all, the portal is powered by NetEnt software, one of the most reliable game manufacturers in the world with a rich and diverse portfolio. Also in the list of game providers, you can find well-known names such as Microgaming, Play’n’GO, Bally, Williams Interactive, Habanero, Yggdrasil Gaming. In addition to an intuitive and futuristic design, as well as a charming dinosaur mascot, you will get the secret of casino success both among newcomers to the gambling world and experienced fortune seekers. The portal is mainly focused on the European market with the support of English, German, Norwegian, Finnish and Swedish. Players from the USA, UK, Italy, France, and Spain will not be able to register on the site due to regional restrictions. Lucky Dino Casino has a really large portfolio of games: currently, there are more than 400 slots of various categories. If you pay attention to the main providers of software, the first place will be by NetEnt. Content from Yggdrasil Gaming will be in the second place, and Microgaming and Play’n’GO will take the third place. NetEnt lovers can find on the site almost all brand’s gems: the Blood Suckers vampire saga, the funny adventures of Bob’s Viking in the eponymous Böb: The Epic Viking Quest gaming machine or the typical jackpot slots like Mega Fortune or Hall of Gods. If you come for the latest 3D graphics and vivid visual effects, then the ideal choice would be Gonzo’s Quest or Fairytale Legends. High-rollers will also be delighted with the availability of a large assortment of progressive jackpot slots, for example, Tiki Wonders, Geisha Wonders, and Icy Wonders. The games of Yggdrasil Gaming, founded under the leadership of the former CEO of NetEnt, Fredrik Elmqvist, are also presented here in a wide range. The basic configuration of the machines is 5×3, and the main prize is presented as a bid multiplier and is very easy to get. Pay special attention to such manufacturer’s hits as Big Blox, Wicked Circus, and Valley of the Gods. Microgaming is also represented by a broad selection of games: from timeless slots such as Bar Bar Black Sheep and Asian Beauty to the modern games based on movies and multimedia, such as Tomb Raider, Hitman or Battleship Galactica. There are mainly time-tested and gamblers classics for fans of card and table games in the Lucky Dino Casino: blackjack, baccarat, several types of poker – Oasis, Red Dog, Texas Hold’em and Caribbean Stud, where you can contend for the right to have a jackpot. There are also tables for European and French roulette, and rooms with video poker: Deuces Wild, All American and other famous varieties. Fans of unusual games can find Monkey Keno, Germinator and Triangulation in the Special tab. The bonus offers at Lucky Dino Casino are fairly standard, but at the same time, slightly more generous than in the other online venues. 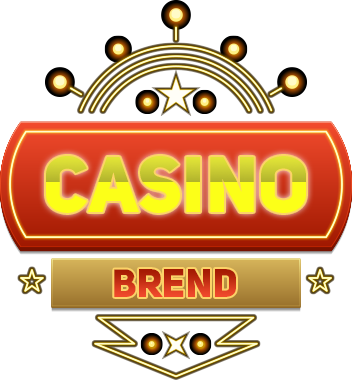 The very first bonus can be obtained even without registration: these are 7 free spins that can be spent to play Lights from NetEnt. Casino customers can also count on the welcome bonus for registration and the first two account deposits. For the first deposit you will receive a match bonus of up to 100% in the amount of your bet, but not more than 200 euros, as well as 50 free spins for use in the Copy Cats slot. The second deposit will bring you another 200 euros as a 50% match bonus and an additional 50 spins, only now for playing in the Twin Spin slot. Remember free spins winnings are wager free (real money in other words). Deposit match bonuses are subject to 50x wagering requirement. Bonus only. At the same time, the limit on withdrawal of funds on the website is limited to 20,000 euros per month. The casino also offers regular players a pleasant loyalty system. All you need to do is bet in your favorite slots, which can bring you free spins, mega-spins, and many other bonuses that you can spend at your discretion to play your favorite machines. The casino site also states that these offers are completely wager-free. Lucky Dino Casino is a fairly reliable portal with a large selection of slot machines and other types of gambling entertainment, a pleasant bonus policy and a high level of security and reliability.